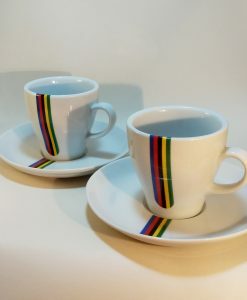 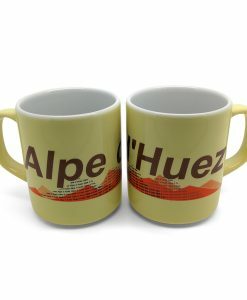 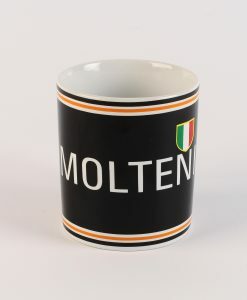 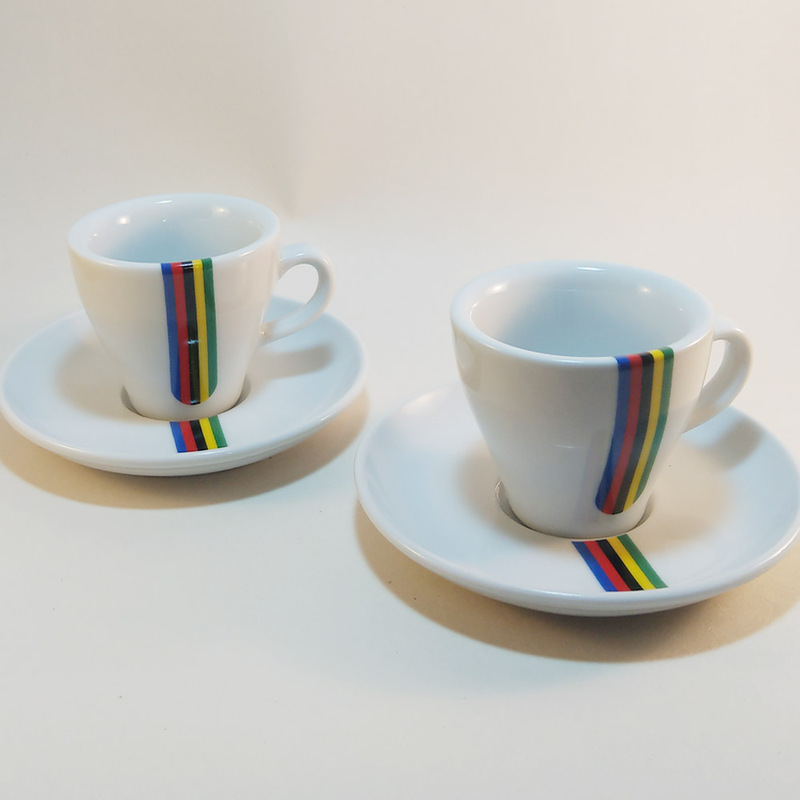 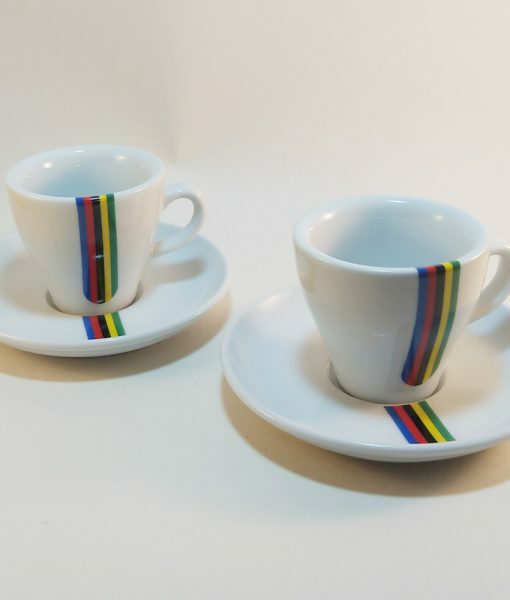 World Championship Espresso Cup and Saucer featuring the iconic, vibrant 5 colours of this brilliant annaul cycling event. 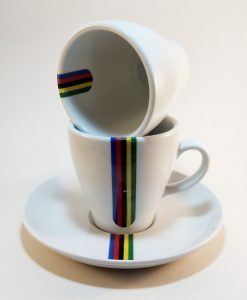 Fuss free design and detailing make this the perfect carrier of your morning or pre-ride caffeine injection. 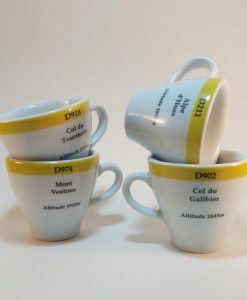 Cada platillo tiene 10cm de diámetro. 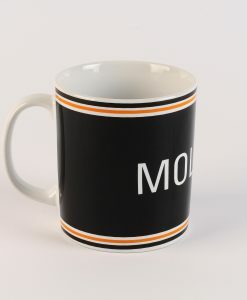 Not digitally printed ? 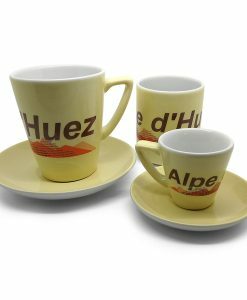 these cups are heated in a kiln so the finish is high gloss and stunning.